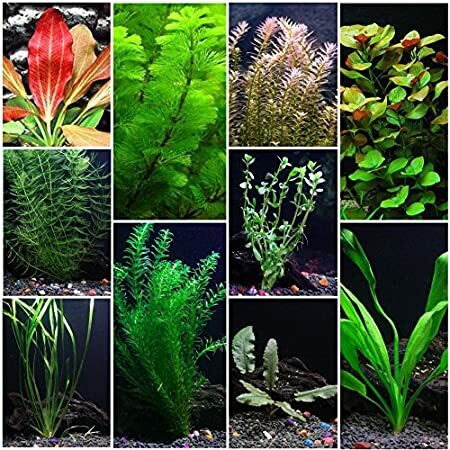 All Aquatic Arts brand plants and animals come with a 100 percent Live Arrival Guarantee. Extremely dense moss – bright green and healthy. 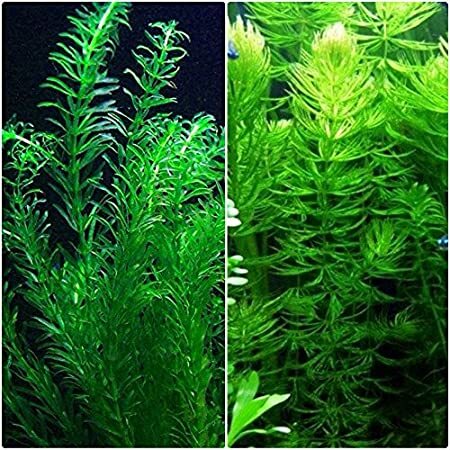 Does not need special or high intensity lighting, and can be kept in any freshwater aquarium. 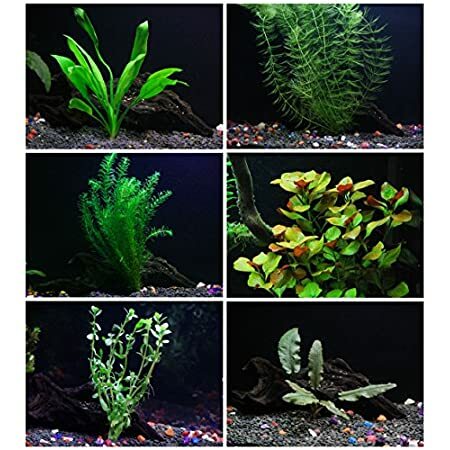 10 Species Live Aquarium Plants Package – Anacharis, Swords, Vallisneria and More! 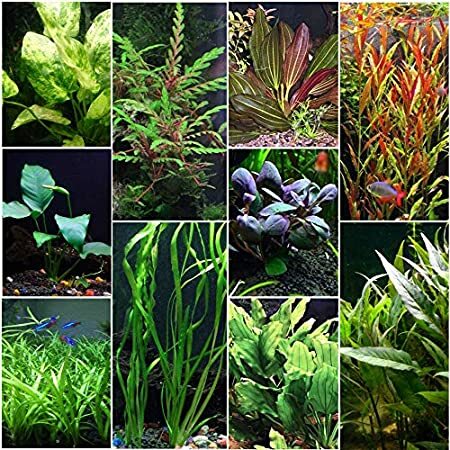 25+ stems / 6 species Live Aquarium Plants Package – Anacharis, Amazon and more! You get 6 grown plant bunches, 1 of each species. Each of our plant bunches have several stems or stalks, note some vendors consider 1 stem to be 1 plant. Each moss ball is around 1.5 inch to 2 inch in diameter. It is 3 times larger than nano marimo (0.5 inch). As this is a natural product, it might not be a perfect sphere. The side that is resting normally has brown spot because it has been away from sunlight. When you put it in water, it will soon gain its green color. It also has multiple shades of green. The moss ball is shipped with slight moisture sealed inside a plastic bag. To make it sink, just squeeze it repeatedly in water to let the air escape. Do give it a thorough rinse before putting it in your tank for the first time. 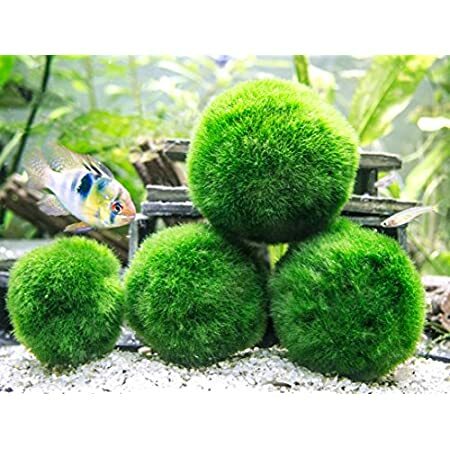 Aquatic Arts is the best rated brand of Marimo on Amazon. Note that our Giant Marimo Balls are 2 to 2.5 inches, while others call 1.5 inch marimo giant. Extremely easy to take care of. 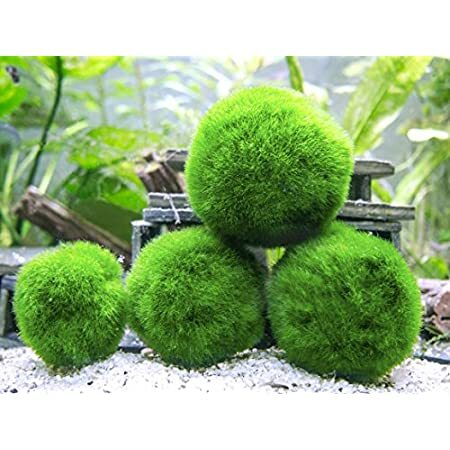 These moss balls can be kept in any freshwater aquarium, terrarium, or even a simple jar or glass vase. They can even live in tap water with a biweekly water change. No need for special lighting. 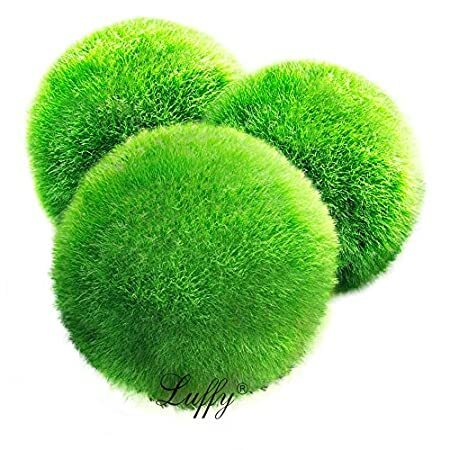 If you’re looking for unique home decor ideas, these marimo are great for indoor decorations. They are much more low maintenance than other live plants like bonsai trees. These natural decorative plants also look great as interior centerpieces. It’s easy to see why they are becoming popular and loved by people with a variety of interests. 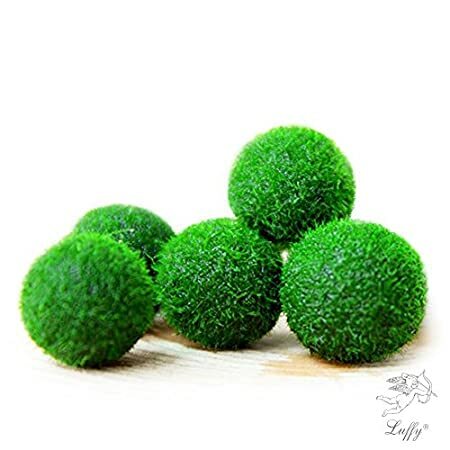 5 LUFFY Shrimp Balls – Instantly Purify Water for Shrimps: Beautiful & Easy Live Plant: Provide micro-nutrients for Shrimps to Feed on. Small in size but big in benefits: the popular Luffy ball is now available in nano size! Perfect for starter tanks or shrimp breeding aquariums. Nano Luffy balls are less intimidating for small shrimps and provide the perfect accompaniment for all small-sized shrimp and aquarium life. Because the Nano Marimos are a more appropriate size, shrimps find it easier to play with these adorable little moss balls, giving them some exercise and relieving you of having to roll the marimos yourself. Perfect for any small tank or glass container for individual shrimp rearing. They add a touch of green to any water body, providing a beautiful contrast to the colour of your shrimps. Like other aquatic plants, they absorb harmful substances that may hinder shrimp growth and provides the water with some oxygen. 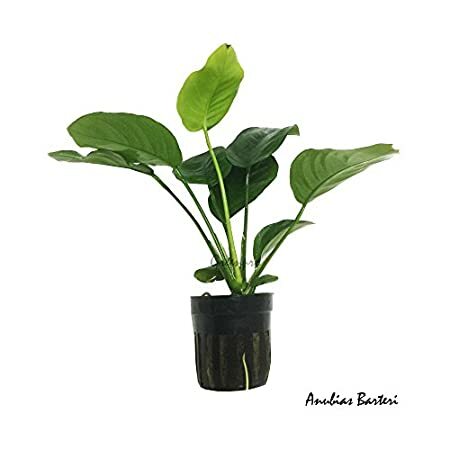 ANUBIAS “BROAD LEAVES” : Anubias barteri from Greenpro come with 2″ pot size. READY to plant!! 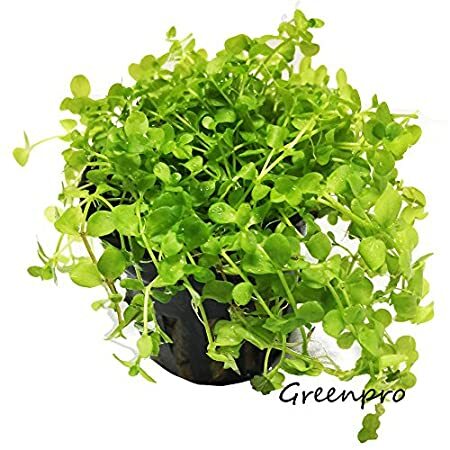 STRONG ROOT STRUCTURE : Strong root system and durable dark green leaves, Anubias barteri from Greenpro highly endure to a variety of growing conditions. With proper condition, they will be faster and larger growth. GREAT CHOICE FOR ALL AQUARIST : Because of their strongness and hardiness Anubias would be a great choice for beginner and also make a wonderful foreground, midground and background in your tank. 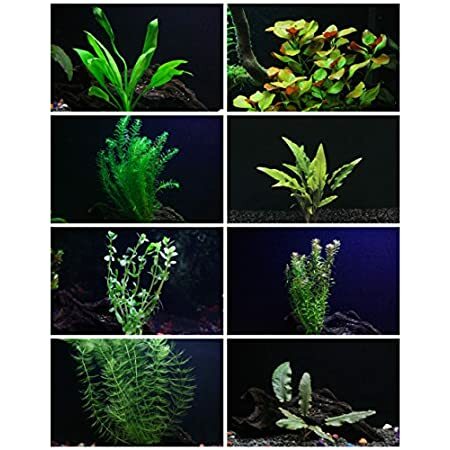 Aquarium Plants Discounts 30+ Stems – 8 Species – – Anacharis, Amazon, Rotala, Ludwigia and more! 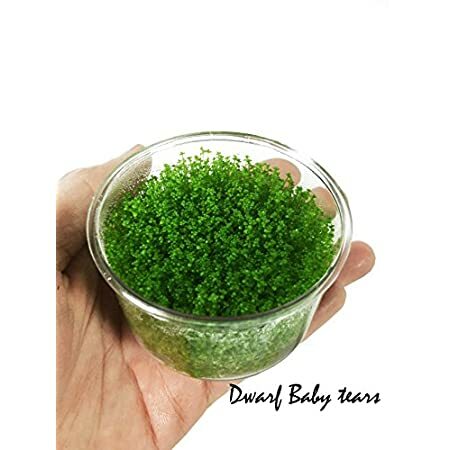 LIVE AQUARIUM PLANT : Dwarf Baby tears, the most popular carpet plant also known as HC, Cuba. 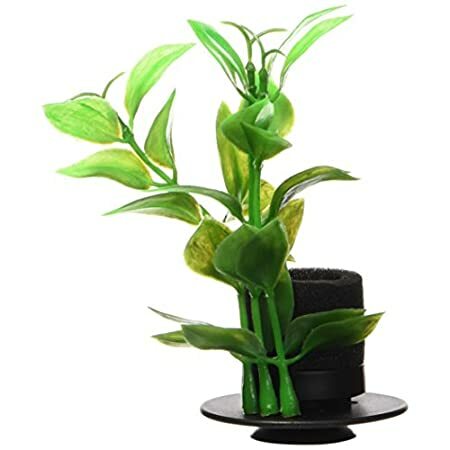 The beautiful bright green leaves spreading form foreground in your tank making its popularity increasing day by day. IMPROVE WATER CLARITY : Under proper conditions, HC will provide Oxygen bubble which is called perling also, reducing algae growth and enhacing the quality of water in your tank. TISSUE CULTURE : also known as vitro plants. With high quality technology facilities and lastest tissue culture laboratory, TC cup from Greenpro grown with sterile process with special gel to ensure to be free from algae, disease, pest and snail. 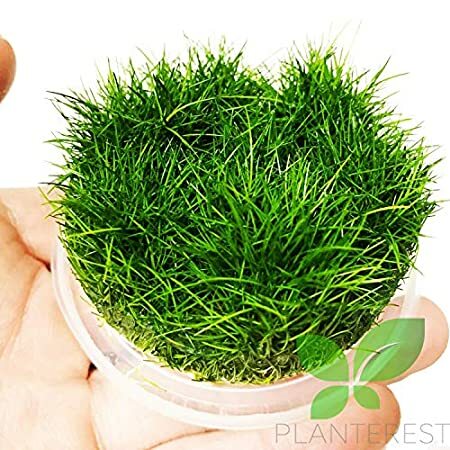 LIVE AQUARIUM PLANT – 1 Dwarf Hairgrass Sp Mini Vitro Cup. FREE ICE OR HEAT pack – Due to extremely weather, Ice and heat pack is available up on request. Simply put “ICE” or “HEAT” after your name on your shipping address. 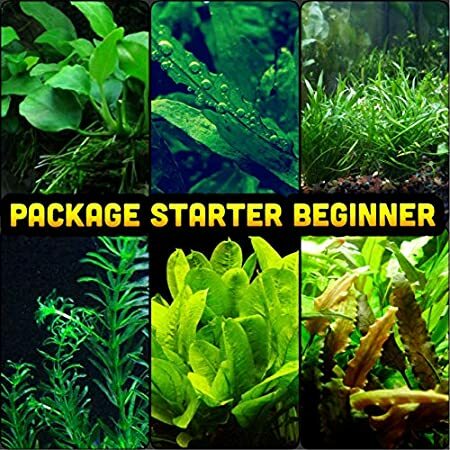 LIVE AQUARIUM PLANTS: Package Starter Beginner Set, Perfect for any aquarium tank. It creates a natural habitat in your aquarium for your fish and invertebrates. 3 DAYS LIVE GUARANTEED : In a very rare case our live plant dead on arrive or within 3 days. Please send us the photo within 3 days. Live Guaranteed will be voided after 3 days of delivery. We honor our guaranteed. 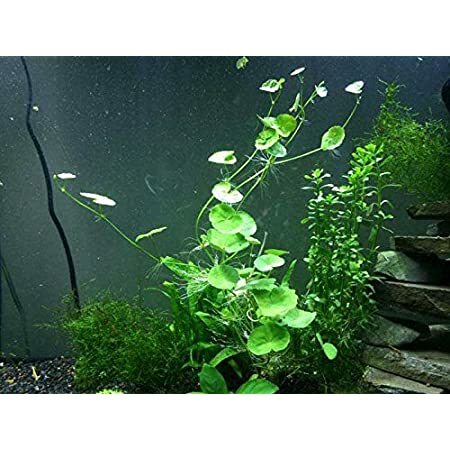 LIVE AQUATIC PLANT : Micranthemum Monte Carlo, alternative way for carpeting, Their leaves are a bit biger than the world famous foreground plant, Dwarf Baby Tears. EASY TO GROW : Since we know, HC, is similar to them. Monte Carlo is much aquarist friendly. They can adapt to wide range conditions. With or without CO2, obviously, you will get better result from hight tech CO2 aquarium tank. SIMPLY CARE : Regularly trimming. Use the curved scissors and trim out the top part off regularly.